ItemCUMB_980.1055 - Jumbo’s Cabin, the Home of Mr. Tan and the Home of Jung Shue in Chinatown, Cumberland B.C. Item CUMB_980.1055 - Jumbo’s Cabin, the Home of Mr. Tan and the Home of Jung Shue in Chinatown, Cumberland B.C. 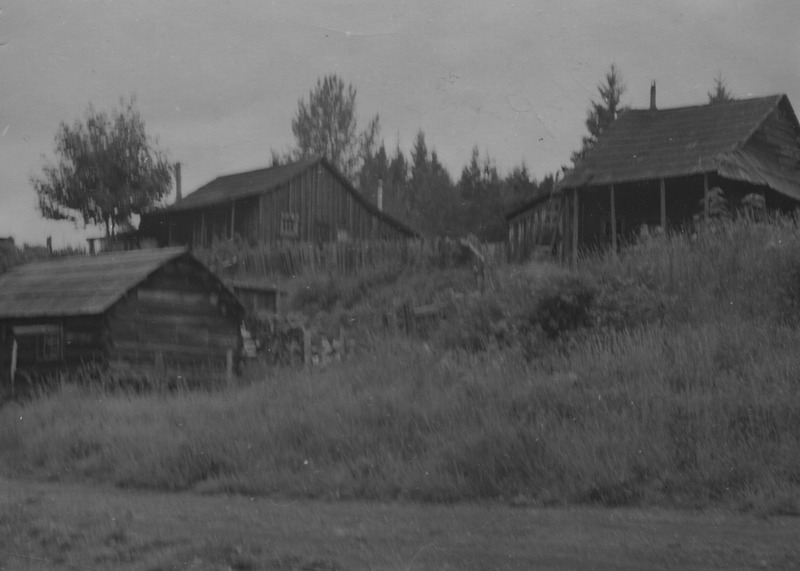 Jumbo’s Cabin, the Home of Mr. Tan and the Home of Jung Shue in Chinatown, Cumberland B.C. 3 photographs; negative 35 mm; black and white prints. The three houses in Chinatown, Cumberland B.C. that have been identified in this photo are: Jumbo’s (or Hor Sue Mah's) original cabin (left), Mr. Tan’s house (stove pope maker) (middle), and the house of Jung Shue (Gardener) (right).